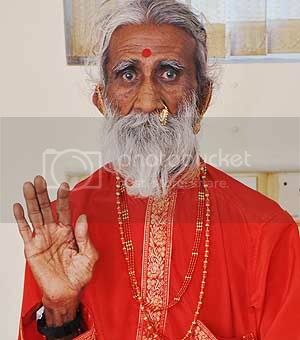 Prahlad Jani is an 82 year old Indian holy man who has not eaten or drinking for 70 years. Many are claiming this man to be a fraud, however, under strict observation from doctors, Mr Jani seems to be in fine health. "We studied him for 15 days with him taking no water or food," Dr. Sudhir Shah of Sterling hospital in India proclaimed. During the period Jani took baths and gargled water, but ingest anything of any kind. "Somebody doesn't take water for seven or eight days he surely dies," Shah said. 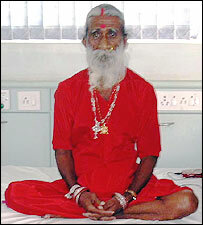 Prahlad Jani claims that he is filled and nourished with the elixir of life. This mysterious energy flows through everything that exists and is truly the spirit of a thing. The Arcturians teach us that this mysterious life force can be harnessed to actually create our reality. While scientist are vainly searching for the scientific cause for this mans condition, they are missing the point. The mysterious energy is not something that can be found from without with atom colliders, nor by looking into the deep recesses of outer space. It would be like trying to find Desire, Love, or Hope in the material world. Jani, if all turns out not to be a hoax, serves as a tremendous example of humanities ability to transcend the very laws of nature. The Arcturians instruct that the path to fulfillment and the next stage for humanity lies within our ability to expand our spiritual development. Jani provides us with an excellent example of an one human being progressing toward this next level of development.